Johnson Controls, a diversified global market leader in automotive systems and facility management and control, selected an AbsolutAire R-Series direct-fired system for its make-up air and heating & ventilating requirements at an automotive interiors plant in Holland, MI. The AbsolutAire R389-UMX system provides heat as well as variable make-up air for the facility’s different processes. 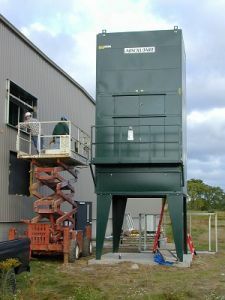 The unit provides large volumes of airflow with lower horsepower requirements than other available systems.